This is one of the more challenging, yet accessible trail runs near Boulder. 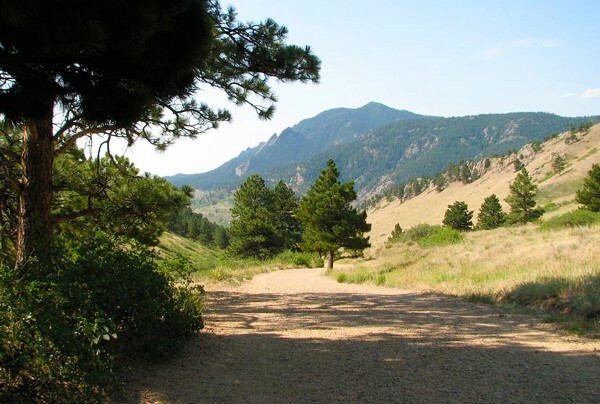 Located on the western edge of Boulder about 2 miles from downtown, the Mt. Sanitas trails are extremely popular among runners, walkers, mountain bikers, and hikers. It’s a climb, but you’ll be rewarded with an amazing view of the foothills, nearby high peaks, and the city of Boulder. The 3.8 mile loop starts at Sunshine Lake, climbing to Sunshine Canyon. Enjoy a wonderful variety of wild flowers, wildlife, and (especially) all different kinds of birds From here, you’ll take the Sunshine Valley Trail up to the top of the mountain — great views!. After catching your breath and snapping some pics, follow the East Ridge Trail for about a half mile, to the Mt. Sanitas Trail. At this point, you’ll be glad to follow the Mt. Sanitas Trail down to the bottom of the mountain, enjoying the beautiful scenery, refreshing breeze, and the mountains all around. Note: very hilly and steep run, 1246 feet elevation gain in 3.8 miles, and starts at 5,800 feet.